Professional MS Project courses . You are taught by certified experts. Small classes. You’ll have lots of time to ask questions. Hands-on practice. You’ll leave a faster, more confident Project user. Speed up your day-to-day MS Project workflow and reporting and free up your time. We understand that you are busy. The Acuity Advantage ensures that you maximise your learning and minimise wasted time and distractions – see below for more details. We’re so confident you’ll love our courses we offer a moneyback guarantee. Let us know as soon as you notice something isn’t quite right and if we can’t fix it we’ll give you your money back. Click here for the details. This Microsoft Project training course is designed specifically for beginners. It will teach you the essential skills of using Microsoft Project to plan and manage project schedules. It will ensure that when you return to the office you are a confident user of Microsoft Project. Led by highly experienced Microsoft Project trainers with many years of experience. Our hands-on training courses mean that you will leave with lots of practical MS Project experience as well as useful tips and tricks. This Microsoft Project training course will teach you how to make the most of planning and managing projects using Microsoft Project. It will build on your existing skills and teach you how to make the most of this powerful project management software. Part of the second day of this course is a workshop session which allows delegates to work on their own projects. Led by highly experienced MS Project trainers with many years of experience our hands-on courses mean that you will leave with lots of practical Project experience as well as useful tips and tricks. You are focused on being a fast, confident Project user in your day to day work. Thinking about booking onto one of our Project courses? Before you book, see this feedback from a delegate on a previous course. Our modern, air-conditioned training centres in London and Guildford are very easy to get to wherever you are travelling from. Our London training centre is in the heart of the City. It is a short walk from Bank and Cannon Street tube stations, and London Bridge and Liverpool St stations. Our Guildford training centre is easily accessible from Guildford station. If you are driving, we have plenty of free parking. We also offer onsite training across the UK. This means that we come to your offices on days that suit you and train a course that is specific to your exact needs. Microsoft Project is used extensively for project management, from smaller projects, like house refurbishments, through to very large projects (e.g. office moves / large change programs). It is extremely flexible and highly configurable. It is used across all industries from pharmaceuticals and healthcare to charities and governmental organisations. It makes it very straightforward to plan and visualise resources, and to understand interdependencies and bottlenecks. The basics of project management and planning. It’s planning tools also make it simple to control project finances, and to communicate information relating to the project quickly and simply. This is done primarily by Gantt charts. Finally, it can be used to create critical path schedules to help project managers understand critical dependencies. As part of the Microsoft Office suite of products it works seamlessly with other Office products like Excel and Word when producing reports. Microsoft actually purchased the original software behind what is now Microsoft Project in 1985. Since then it has released multiple versions and improvements to Project, in line with Microsoft Office updates. Confusingly, while Project is part of the Microsoft Office family it is not included with the Microsoft Office suite. It needs to be purchased separately. It’s “work breakdown structure” (WBS) requires project managers to split the project into a whole series of tasks, with costs and interdependencies attached to each. It’s key modules are work, teams, schedules and finances. The improvements in this updated version were mainly to contained in the new Reports section. A completely new Reports section is now included in the ribbon. This contains a number of graphical reports which can be used to very simply show progress. This updated version included the Ribbon for the first time. This was unusual as the Ribbon was introduced in the Office suite in their 2007 version. At the same time key improvements were the introduction of the Team Planner view. This focused on showing how work and resources interact over time, and so made finding some potential issues far simpler. The Timeline view made project communication faster. It produces an overview of the project’s schedule which allows people to rapidly understand the project at a high level. There were a number of very useful improvements held within this version of Project. It introduced the ability to analyse the impact of potential changes in a project before committing to them which made analysing the impact of changes far faster. The ability to make a change and have Project highlight where knock on impacts in the project would occur was also included. Other new capabilities included the facility to customise the standard templates within Project for the first time, and the ability to visualise data automatically in Microsoft Excel. Microsoft Project is available in two versions, standard and professional. The standard version has been designed to cater to the needs of either domestic users or small business users. Conversely, the professional version has been designed with large corporate users in mind. The differences are principally in the additional functionality that the professional version can offer. For example, it offers ‘At A Glance Resource Management’ which allows users to visually amend resource schedules and mixes by dragging and dropping resources. It also offers enhanced team collaboration and results assessment tools. These are far more likely to be relevant to the larger teams of users that would typically be working on a project for a larger corporate user. As you would expect the professional version of the software is more expensive. The Professional version is also able to connect to an installation of Microsoft Project Server. This is a far more advanced project management tool designed for managing and controlling very large projects. 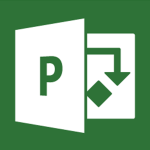 A 60-day trial version of Microsoft Project is available for free. This can be downloaded from the Microsoft website. One on one training provided great focus on my specific job requirements. compact and concise, facilities and staff were helpful and welcoming. Useful for my day to day activities at work. Great, very interesting learnt a lot. Interesting Tutor. Very well explained. Course was spread out well throughout the days with 1.5hrs of learning and breaks in between to allow us to refresh. Practical use of the software. Learning something new in a friendly enviroment. Very helpful, nothing was too much. Good - small class so received individual attention where needed. All of the course was great. Having never used project before, I found the course was pitched at the right level. Food - lovely! Sarah, Operations Manager - Farnborough International Ltd. The structure of the course was clear and covered everything in great detail and I was able to understand and pick up what was needed. 1. Training with a highly experienced Microsoft Project trainer. 2. A full colour A4 Microsoft Project manual for you to take home. 6. The Project exercises that you have worked on during the training.